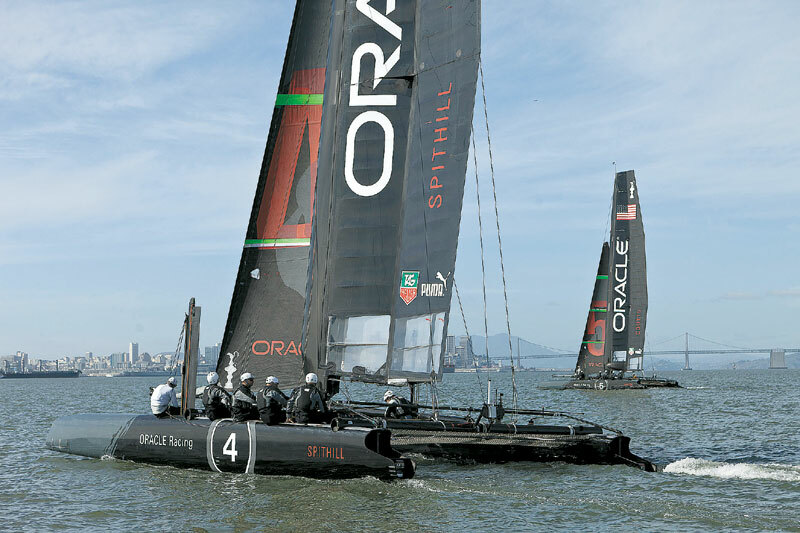 SAN FRANCISCO (LOG NEWS SERVICE) — The San Francisco Board of Supervisors has approved an agreement to host the 34th America’s Cup sailing competition on San Francisco Bay in September 2013, preceded by America’s Cup World Series events in August and October of this year. The revised plan comes after the race’s organizers in March backed out of a proposal that would have had them spend more than $111 million in infrastructure upgrades, including $60 million on Piers 30 through 32. The investment by the America’s Cup Event Authority was to be in exchange for development rights and long-term leases. The downsized plan, which the supervisors unanimously approved March 27, calls for San Francisco to invest $22 million in infrastructure repairs and other construction. The plan includes $8 million for five team bases and $7 million for the America’s Cup Village. In a release, America’s Cup officials said the inclusion of Piers 30 through 32 as the “pit row” for the teams in close proximity to the America’s Cup Village at Piers 27 through 29 will make the event’s footprint more compact and will benefit the teams as well as the general public. Racing, they said, will be visible from the shoreline — only minutes from downtown shopping and hotels, making this the most spectator-friendly event in the Cup’s 162-year history. The America’s Cup Event Authority said in a press release March 23 that it would lay off 28 of its staff — 14 people in San Francisco and another 14 in other offices around the world. The move, which will affect mostly information technology, marketing and communications people, is due to the downsizing of the event in San Francisco, officials said. One of the most fiercely competitive and sought-after trophies in all of sport, the America’s Cup was first raced in 1851 around the Isle of Wight. The U.S. yacht America won, giving the international sailing competition its name. — Reports from the Associated Press were used in this story.